Look at that. 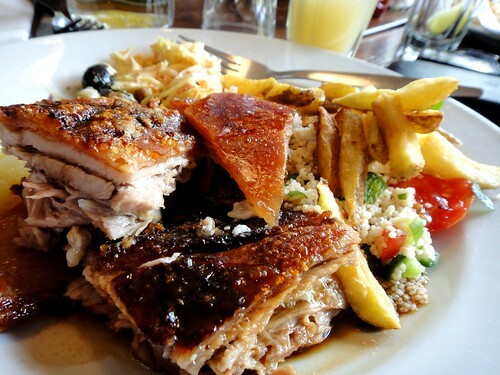 Unlimited pork plus sides for £12. TWELVE POUNDS. This guy (Heath Ball aka @pubhobbit on Twitter) owns the pub. He looks justifiably happy. Parties of up to 100 people with a 80kg hog (Middle White or Gloucestershire Old Spot), or lamb roast or suckling pig roast for smaller parties (there were about 30 of us). That looks amazing! 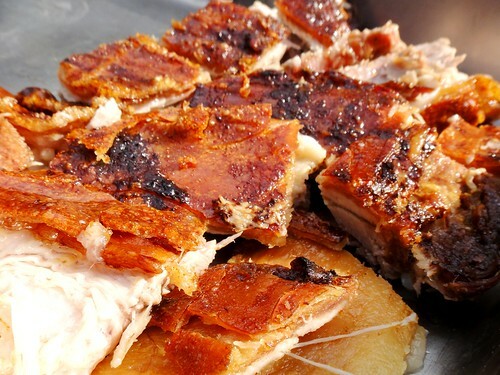 We're having a hog roast for our wedding next year, if it looks half as tasty as that, I will be one happy lady! Was soooooooooooooooooooo good. We still have giant jar of lard, going down gradually!!! I AM SO SAD I MISSED THIS! :( I love The Red Lion & Sun and I love pig. So jealous. 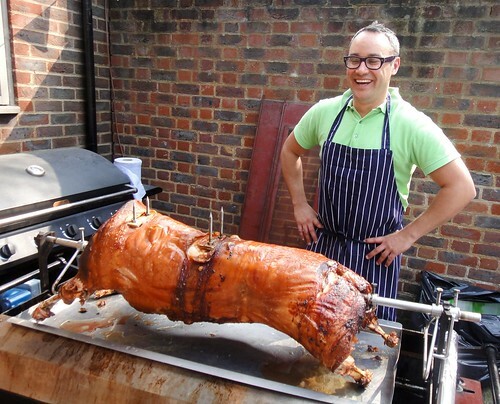 We had wedding hog roast last year. Am still trying to think of the next excuse. 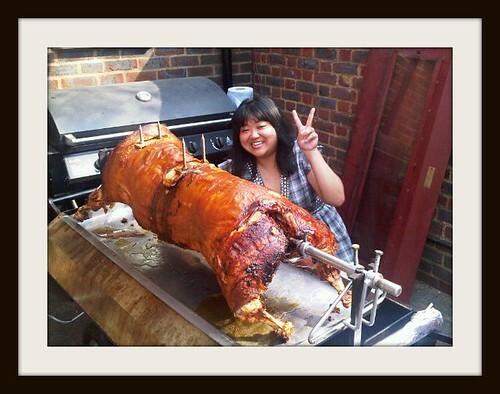 @Hanna @Miss Whiplash - I firmly believe that all weddings should have a hog roast. I failed to have one at mine, d'oh. @Kavey - Haha, me too! 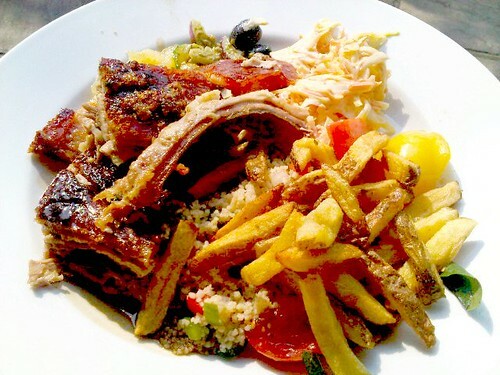 Yum - I swore I wasn't going to read your blog at this time of day and now I'm unbelievably hungry! @the Grubworm AND chumbles - this is why it's so difficult doing the Haiku Review - you lot do it so much better! What a fabulous photo review!